Hot tubs provide a way to stay warm and soothe sore muscles and joints while enjoying the water, even during the winter months. American Whirlpool offers several new hot tub models for homeowners to consider getting – and Aqua Spas and Pools carries some new options! Keep the following in mind when choosing a new hot tub model for use throughout the year. From the simple, circular 100 spa model to the spacious 171 model that fits up to six people, the 100 Series offers four hot tub models to choose from. These hot tubs are just large enough to fit a minimum of four people comfortably without taking up too much space in yards. Treated wood frames provide a sturdy yet elegant structure, while an LED underwater spa light offers lighting for evenings or nighttime. Programmable filter cycles make it easy to keep these hot tubs clean. 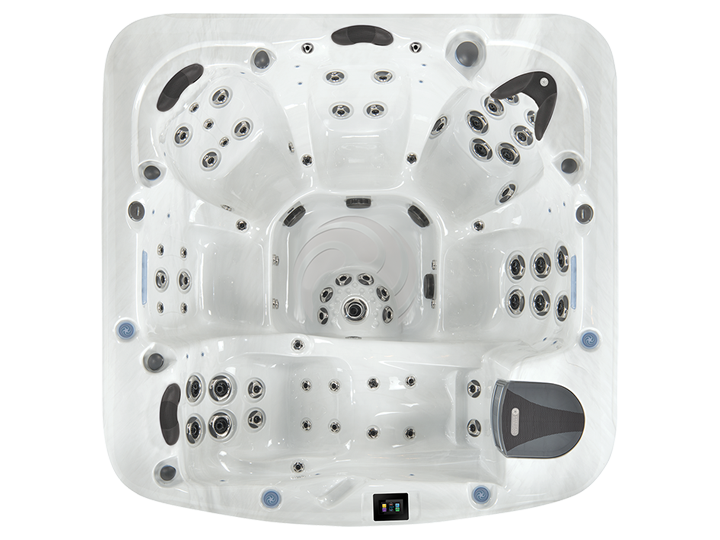 The 200 Series offers a wide range of hot tubs to choose from, including the cozy, semicircular 261 model that fits two or three people and the roomy 282 model that fits up to five people. The hot tub models in the 200 Series include pillows for enhanced comfort and grab bars for improved safety getting in and out. Cup holders provide convenient places to hold drinks while soaking in the water. Optional features, such as WiFi connectivity and a Bluetooth music system help make these tubs even more entertaining. 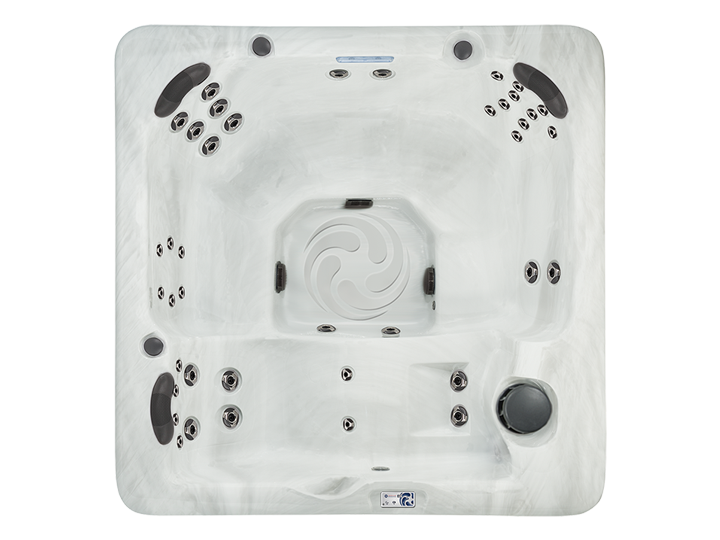 The 400 Series has a number of spa models available, including the 451 model for up to four people and the 481 model, which offers plenty of room for up to six people. This series gets even more creative in terms of features. 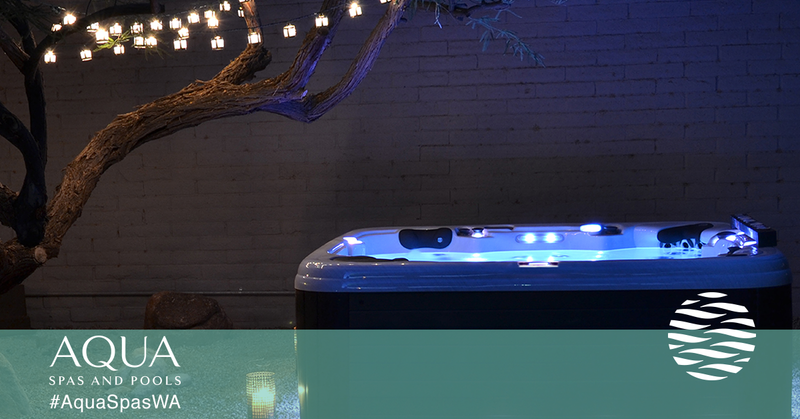 These hot tubs come with a Northern Exposure Insulation System for added warmth, as well as illuminated cup holders and spa controls, making it easier to enjoy them at night. Some models include a Comfort Collar and ChromaTherapy for even greater stress relief, while others have a Foot Relief Zone, Zone Therapy Seat, and Digital Color Optic Lighting. 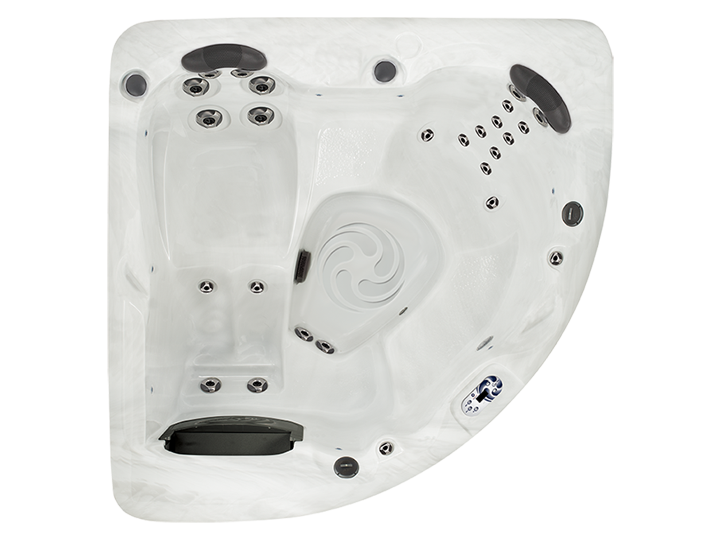 American Whirlpool systems include two new 800 Series hot tubs. The 881 and 890 models both fit up to six people. Notable features include an illuminated waterfall and SmartTouch2 controls that provide added convenience. 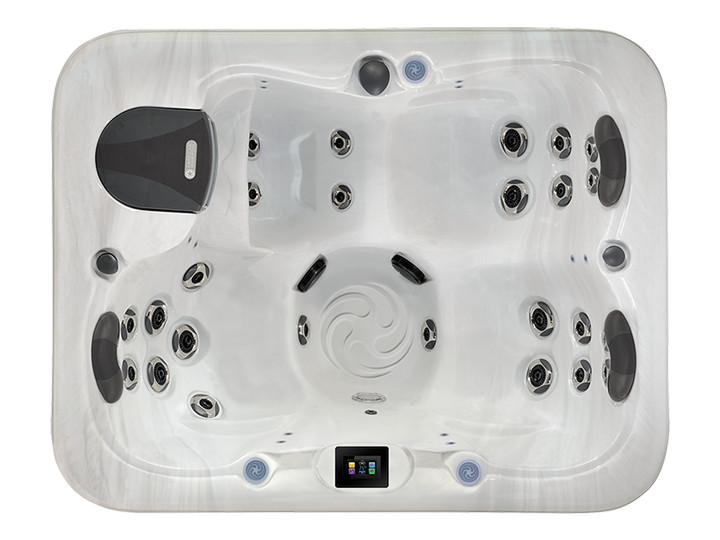 An optional Bluetooth music system makes it possible to listen to soothing tunes while soaking, while included WiFi connectivity allows hot tub users to chat with loved ones, check email, play games and more while relaxing. The 900 Series features one new model that’s perfect for those who plan on having guests over often. 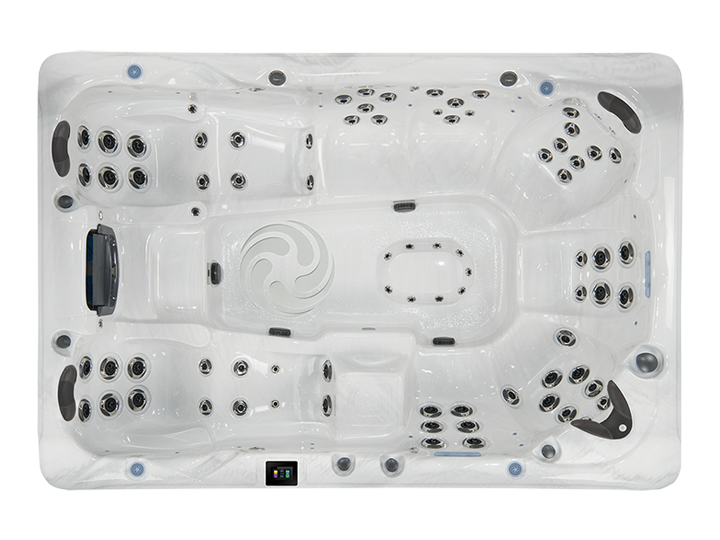 The 982 spa model fits up to eight people and holds up to 714 gallons of water. This model includes all of the comfort and convenience features of the other models, including pillows, illuminated cup holders, a Zone Therapy Seat and SmartTouch2 controls. Optional features that help hot tub users make the most of their experience include exercise kit resistance bands and exercise resistance bands with oars. CleanZone System and CleanZone II UV System keep this hot tub as clean as possible. If you’re planning on purchasing a hot tub in the new year, visit Aqua Spas and Pools to see our selection of American Whirlpool products. We carry the latest models, along with American Whirlpool tub parts.